There’s a lot out there when it comes to information about real estate investing. Where do you start? 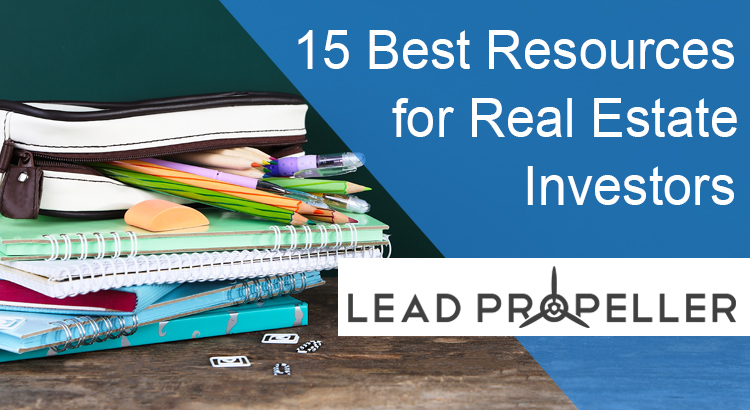 Fear not, we’re going to give your our 15 best resources for real estate investors so that you can build your business without all of the hullaballoo! You’re going to walk away from this article with the best places to grow your real estate investing business so get your note book ready! If you’re not a part of the Flip Pilot group on Facebook yet what are you waiting for?! Never underestimate the power of a Facebook group as one of the best resources for real estate investors. Groups are a great way to connect with other real estate investors. Especially in the Flip Pilot group, investors share ideas, post questions, give advice, and make connections. There are no stipulations if you want to join the group. If you’re a real estate investor then you’re welcome! Join and connect with other serious investors. 7 Figure Flipping is a mastermind group that is full of serious real estate investors who are there to connect, share business advice, and help you plan your business to be a growing success from one year to the next. This one-on-one coaching will show you the best business strategies to take your career to the next level. As one member puts it, “You don’t want to be playing basketball with kids, you want to play with the pros. That’s what this coaching it.” If you’re a serious investor who looking for a mastermind group to be a part of then 7 Figure Flipping is one of the must-do resources for real estate investors. 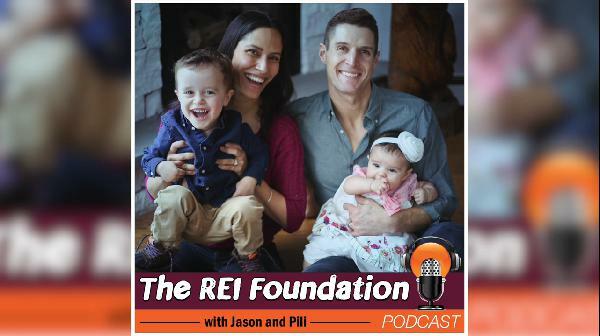 Jason and Pili’s show, REI Foundation Podcast, is full of great actionable advice for real estate investors. If you’re looking for a great, free, insightful platform to help you grow your real estate investing business then the REI Foundation Podcast will be a great place to start. What makes this podcast one of the best resources for real estate investors? It’s run by active real estate investors who share their real story, bumps and mistakes included. Learn from their experiences so you can build your business the right way. Check it out! Bigger Pockets is a no-brainer as one of the must have resources for real estate investors. In fact, if you don’t have a Bigger Pockets profile yet then go make one! There’s no chance you haven’t heard of it yet, but just in case Bigger Pockets is sort of like Facebook and LinkedIn combined, but only for real estate investors. It’s a social networking site where real estate investors, agents, realtors, and anyone who’s in the real estate industry can connect, network, share advice, and more. It’s definitely worth making an account and getting involved in! When you’re running a business you need to keep track of your business expenses. But when you’re driving all around town, hiring contractors, buying supplies for your properties, and doing day to day business it gets tough keeping track of everything. That’s where Quick Books comes in! The ease of use is definitely what makes Quick Books one of the top resources for real estate investors. With just a swipe you can track your expenses, make invoices, track your business miles, maximize your tax deductions, run reports, and more. You don’t have to be an accountant to work it, but if money thoughts make you nervous you are always welcome to work with their team of accountants and technicians. Give it a look and keep your real estate investing business organized! If you’re looking for another platform to add to your resources for real estate investors then check out Epic Real Estate. 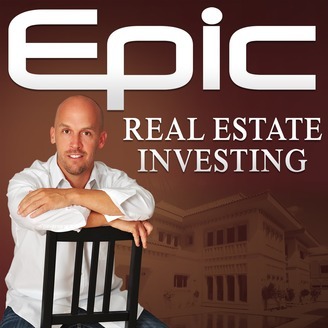 Epic Real Estate has great blog articles with actionable advice, as well as coaching, online education, and a great podcast. Additionally, Epic Real Estate has an online academy that will keep your real estate investing business moving in the right direction. It’s not free, but it is worth it. In this academy you’ll learn the ins and outs of growing your business with one-on-one training from active and successful real estate investors. If you’re not satisfied with your experience there’s a 30 day money back guarantee, so you might as well give it a look! What can we say, we love Justin Williams. He’s just great. He’s also the guy who does the 7 Figure Flipping master mind course. If you’re not at that level yet, check out House Flipping HQ! Justin has a blog, podcast, and coaching available with advice and tips for every level of real estate investing. If you’re just getting your business started then this is one of the resources for real estate investors that you need to take a look at. 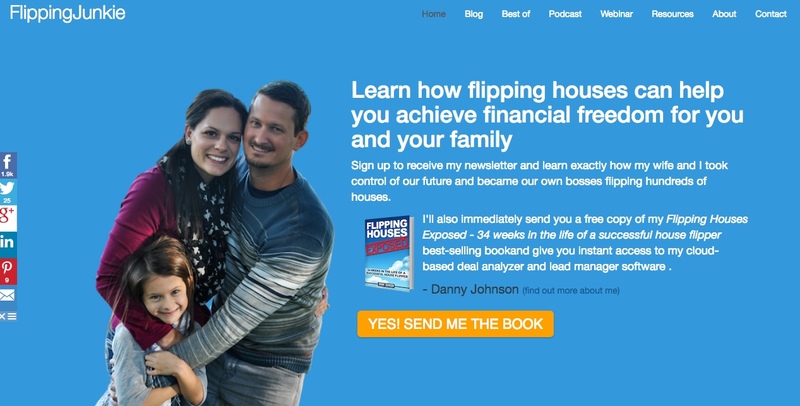 You already know that our founder is Danny Johnson, so is it surprising that we’re listing Flipping Junkie as one of the best resources for real estate investors? If you haven’t checked out Flipping Junkie you’re missing out. The Flipping Junkie Podcast is full as active real estate investors from all parts of the industry. Danny does interviews with wholesalers, house flippers, land flippers, realtors, real estate lawyers, tax experts, and so on. Plus, did you know Flipping Junkie has a YouTube channel? They do! Not only does it have full podcast episodes, but there are also property before and after videos, vlogs, VR house tours and more. Check it out, you’ll definitely learn something that will help your real estate investing business grow! Seth Williams founded REtipster to be a wealth of resources for real estate investors to grow their businesses with. In addition to his awesome blog and podcast, REtipster also has a club for real estate investors to join. Want to connect with other investors? Maybe you want to kick start your lead generation with actionable tips and strategies. Check out the REtipster Club and get your real estate investing business off and running! No one likes taxes. They’re stressful, and cost a lot, and take up a lot of time if you’re not keeping track of business expenses. Ted Thomas has the best tax resources for real estate investors who need some help with managing their business. Ted Thomas is a tax authority who’s been working in the real estate industry for a long time. He specifically works with tax liens and investing. His advice is all about safe investing and how to invest your money the wisest way to make sure you get the best return. 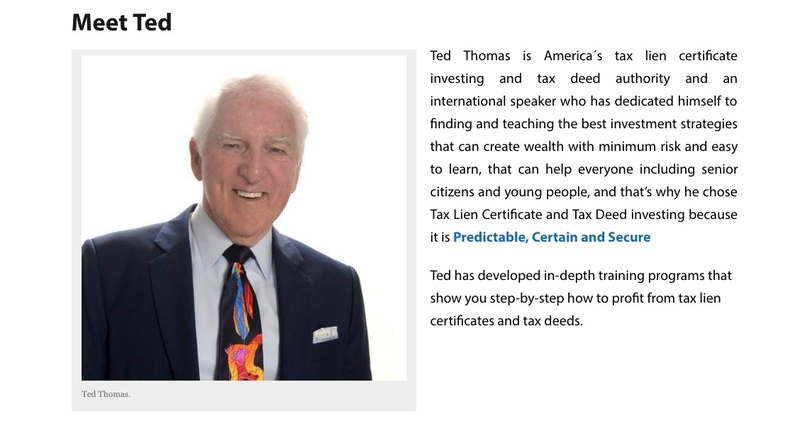 Ted Thomas has coaching, classes, conferences, and a YouTube channel you can check out to start getting tax advice for your real estate investing business. Real estate investing isn’t just house flipping or wholesaling, it’s also keeping properties in your portfolio as rentals. If you’re currently holding rental properties then you know that being a landlord is exhausting and has a lot of ins and outs. For the best resources for real estate investors who double as landlords, check out Landlordology.com! You’ll find state laws and regulations, service directories for your area, and much more. Keep your rental properties in line with the free resources available for you at Landlordology! At the end of the day you’re an investor. Plain and simple. Although Investopedia isn’t exclusive to real estate investors, it does cover investing topics and strategies that are applicable to your business. That’s why this is one of the best free resources for real estate investors. You’ll be able to take the advice and experience of investors from tons of different markets and tweak it to your real estate investing business. One of the coolest things about Investopedia is their academy. It’s new, but it’s a great tool to take advantage of. There are lots of different courses you can try like “Financial Modeling”, “Excel for Finance”, “Technical Analysis”, and “Investing for Beginners”. Again, although most of Investopedia centers around stock investing, the strategies presented here are easily transferable to real estate investing. Give it a look today and see how creative you can get! Don Costa is just a cool guy, hands down. He’s a great real estate investor, he’s got amazing business tips and tricks, and he’s an active member in lots of real estate investing communities. 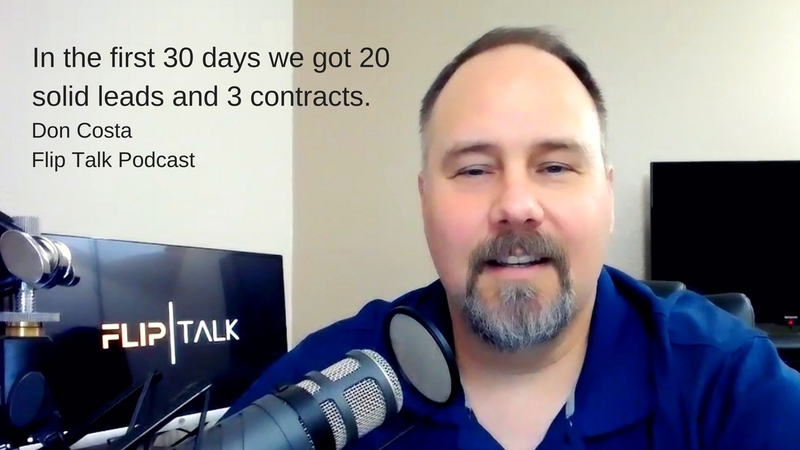 That’s why the Flip Talk Podcast is another one of the great resources for real estate investors. 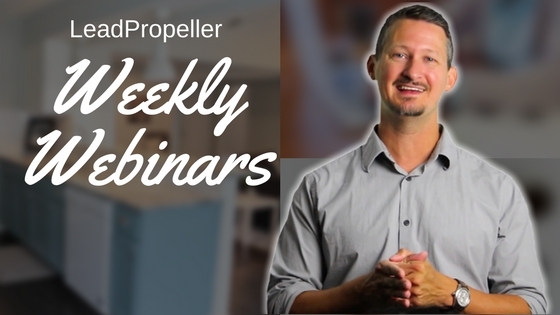 You’ll get awesome advice on where to find great leads, how to land a deal, what to do with your properties, and more. Go check out Flip Talk and get the best advice for running and growing your real estate investing business! Of course we’re going to mention our services. You’re a busy real estate investor, and we understand that, that’s why we have professionally managed marketing services for your business. It’s not free, true, but it does pay for itself. We have different packages that cover different services. Our PPC service covers Google Adwords and Bing Ads, our SEO package will increase your organic search engine ranking, and finally our newest service is our managed Facebook Ads which – you guessed it – creates and manages your ads on Facebook. The thing that sets our services apart is our in-house real estate investors who know exactly what your target audience is looking for. Their knowledge combined with our expert team of online marketers will hand craft a personalized digital marketing plan that’s perfect for your real estate investing business and target market. Don’t believe us? Check out some of these successful investors who use our services and see what they have to say about it!